Up before 7am in the morning. It is dark and overcast. I head down the road on the way to the Yellow House, which has a few bird trails and some bird feeders. But it starts drizzling and just a little bit too hard to continue. So I stop and have breakfast at a local tienda. Coffee and scrambled eggs. Yumm. By the time I have finished my breakfast the rain has stopped so I carry on up to the Yellow House. It costs $6 for entrance. 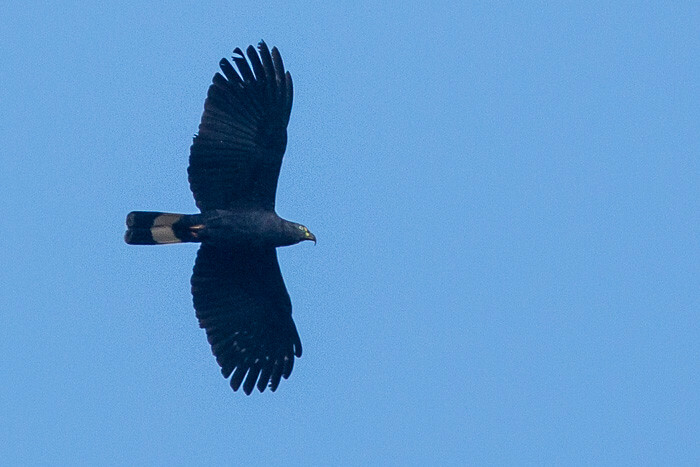 This Hook-billed Kite had me going for a while. I thought it was a Roadside Hawk with a weird head. The main reason for this identification is the length of the legs in relation to the tail. But I am not real confident about it. 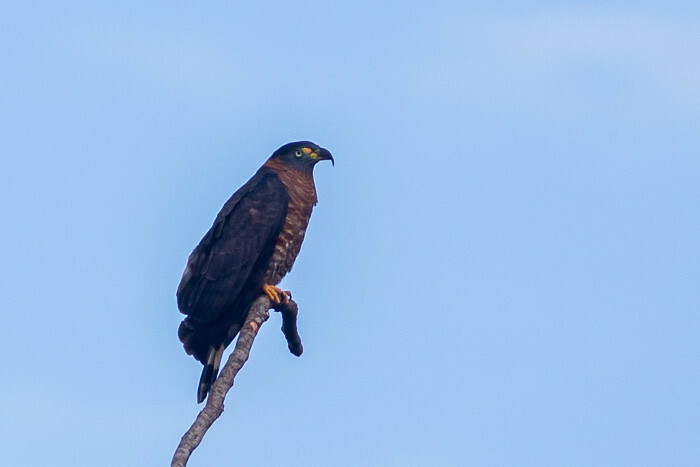 It coudld have been a Great Black Hawk – Buteogallus urubitinga but the white stripe on top of the tail did not fit. 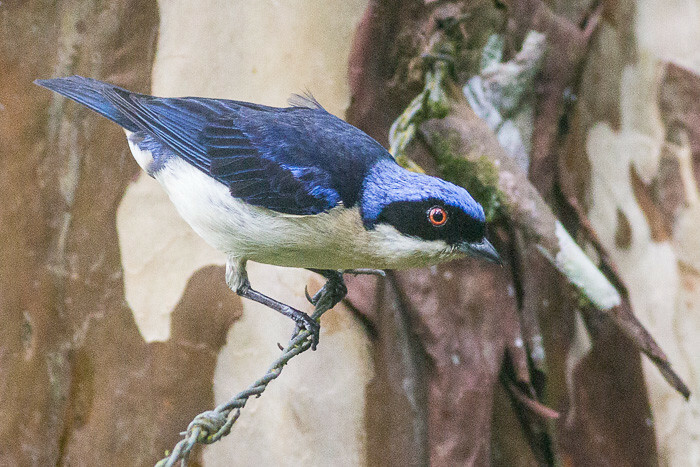 The Fawn-breasted Tanager has a purple top of head, black mask, red eye and white tummy. 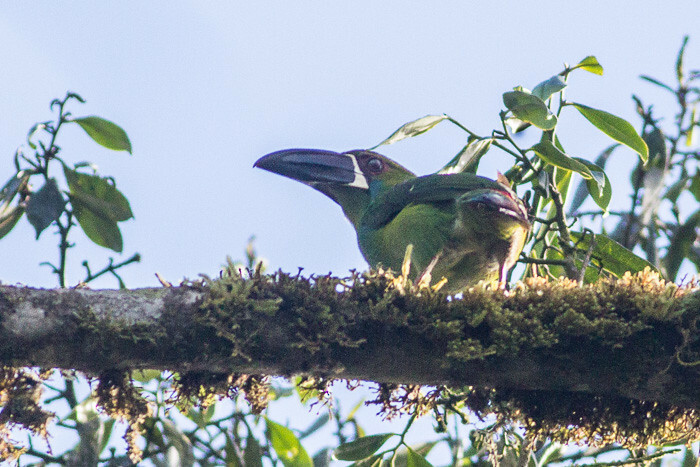 I think it is a juvenile because of the white tummy. 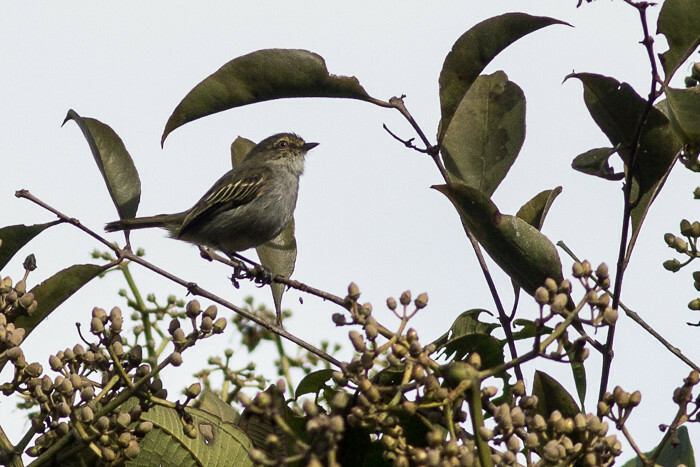 They are very similar to the masked flowerpiercer. 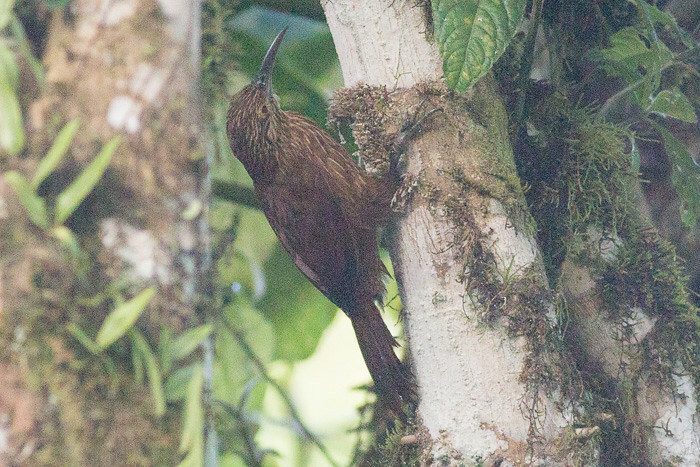 This might be a Montane Woodcreeper (Lepidocolaptes lacrymiger). 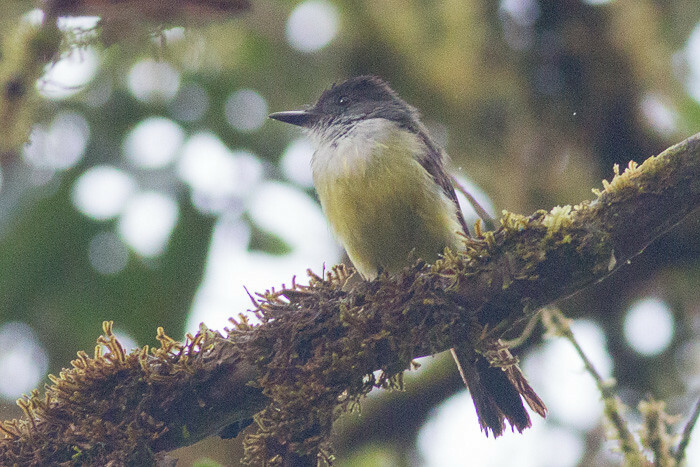 Slaty-capped Flycatcher (Leptopogon superciliaris) Mosquerito Gorripizarro ???? 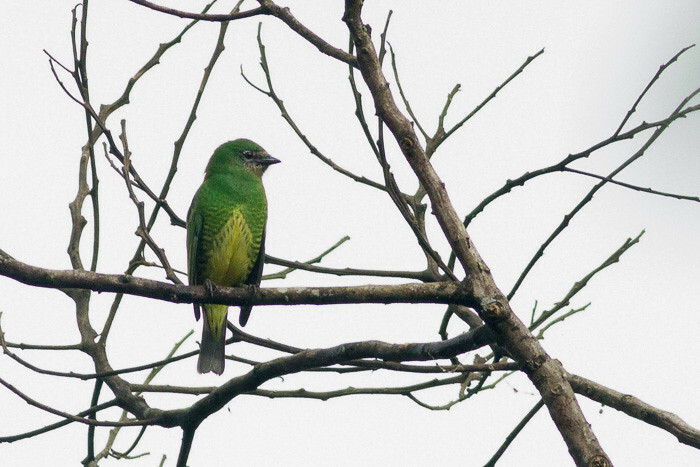 Swallow Tanager(Tersina viridis) Azulejo Tersina – female – green ??? ?